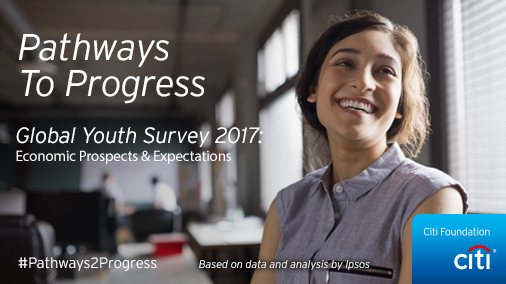 Despite uncertainty and change across the globe, 70% of young people are optimistic about their career prospects. There is a silver lining, however, and it comes directly from the young people themselves. 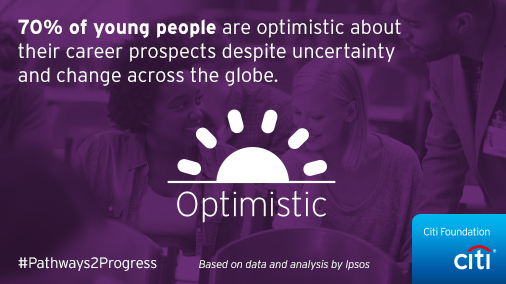 We know that young people remain optimistic, entrepreneurial, and have an idea for what they need to succeed. We wanted to capture these drivers and learn how municipal leaders, civil society, the private sector, and others can work together to bridge the gap between the economic aspirations – where they want to go - and the reality of young people – where they actually are. Young people believe in a brighter future and it is up to us to help afford them that opportunity. 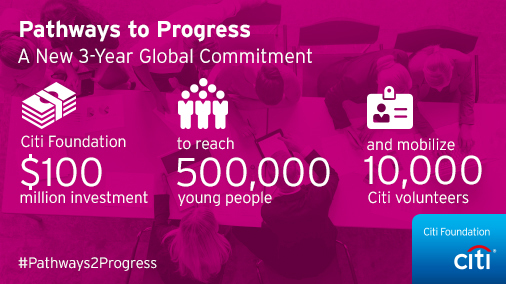 That’s why the Citi Foundation announced our commitment to go “All In” for young people – Click here to read more.